STAR WARS EPISODE III REVENGE OF THE SITH MOVIE POSTER BANNER HUGE ORIGINAL VERY RARE 60x96. 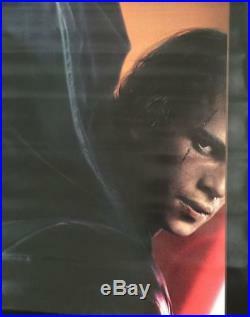 Directed by GEORGE LUCAS; Starring EWAN MCGREGOR, NATALIE PORTMAN, HAYDEN CHRISTENSEN, IAN MCDIARMID, FRANK OZ, SAMUEL L. The banner measures 60x96 and its a guaranteed Original banner. 125 thick chipboard mailing box. 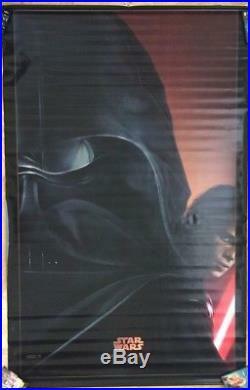 The item "STAR WARS EPISODE III MOVIE POSTER BANNER HUGE ORIGINAL VERY RARE 60x96" is in sale since Saturday, September 24, 2016.